News alert! Just in time for Christmas, Criterion--God bless them--has released a deluxe, 2-DVD edition of Charles Laughton's 1955 unparalleled masterwork--and Morbid Anatomy film favorite--The Night of the Hunter. 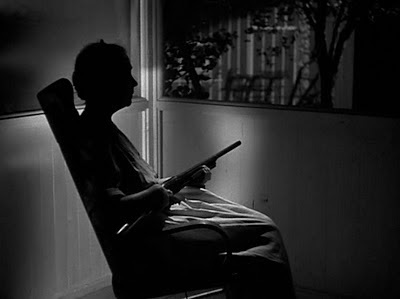 Director Charles Laughton memorably and accurately described The Night of the Hunter as "a nightmarish sort of Mother Goose tale," and that it is. 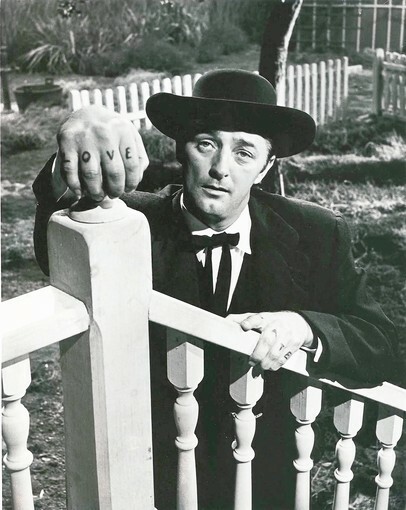 Starring film-noir bad boy Robert Mitchum in a much imitated performance as an evil preacher with "love" and "hate" tattooed on his knuckles (see top image), a slightly depressing Shelley Winters, and a late-career star turn by silent film mega-star Lilian Gish (see bottom image), the films is by turns hallucinatory, menacing, and darkly comic, but always lyrically beautiful at the same time. It is truly its own thing entirely; I simply cannot recommend it highly enough. The new Criterion edition supplements the film itself with an archival interview with the film's cinematographer Stanley Cortez, a 2 1/2-hour making-of documentary, and interviews with a variety of critics and scholars. To read a really wonderful article about the history of this remarkable, influential, and idiosyncratic film, click here. Click here to purchase the Criterion Edition of Night of the Hunter from Amazon.com. To purchase same in Blu-ray, click here. Thanks so much, Megan, for letting me know about this!! 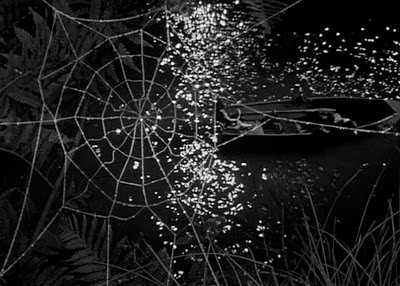 Image credits: Image one, from the LA Times article "A Second Look: 'The Night of the Hunter'"; other images from The Horror Digest.